Jennifer and I had been talking since June of 2017 about their Saint Thomas Lindquist Wedding. She and Anthony wanted the most perfect date and time for their wedding. They ended up having a gorgeous wedding in July. This couple was so easy to work with, and it made planning their big day a piece of cake–so to speak. 😉 Their ceremony had some great details that made it unique. 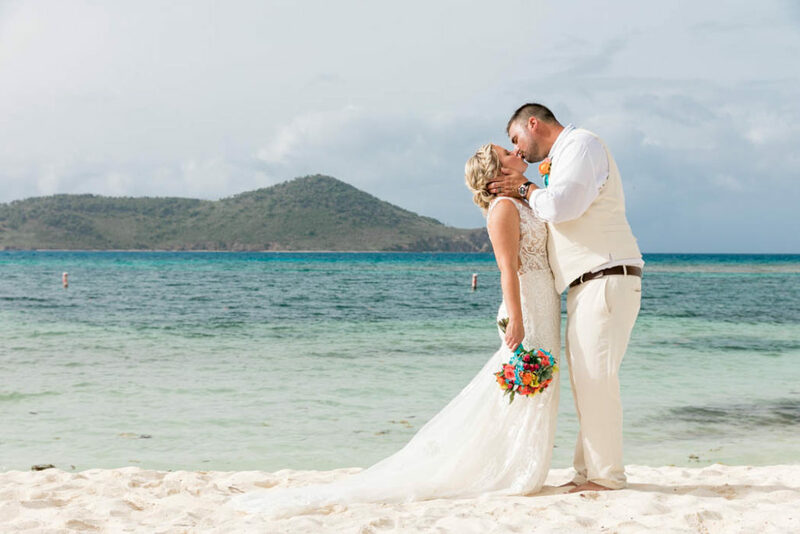 Their family brought big coolers full of water and beer to the beach for all of their guests to enjoy, along with koozies that had the details for their day. Their aisle was lined with mason jars of flowers, which were done by East End Flower Shop. 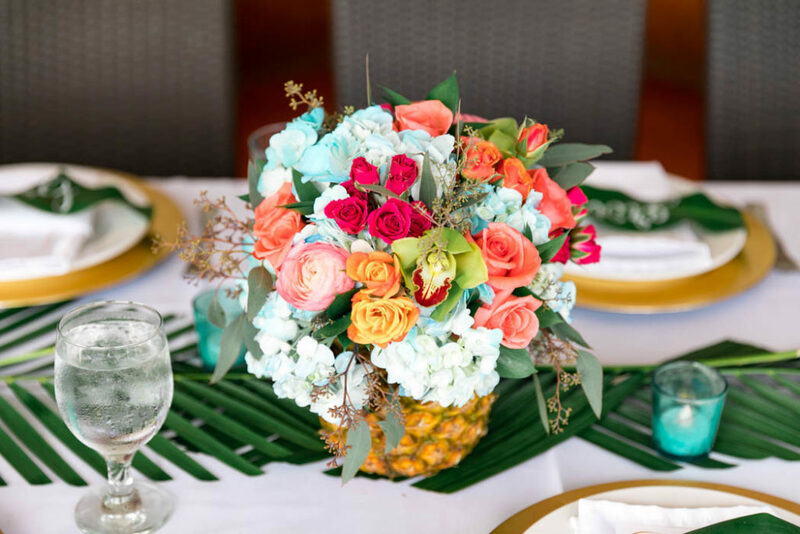 My favorite detail has to be a tossup between the pineapples that they used for their reception centerpieces or the beach balls that they incorporated into their photos after the ceremony, which turned out so well!! After their ceremony, the newlyweds and their guests headed over to Sunset Grille for their reception. Guys, check out their tables!!! 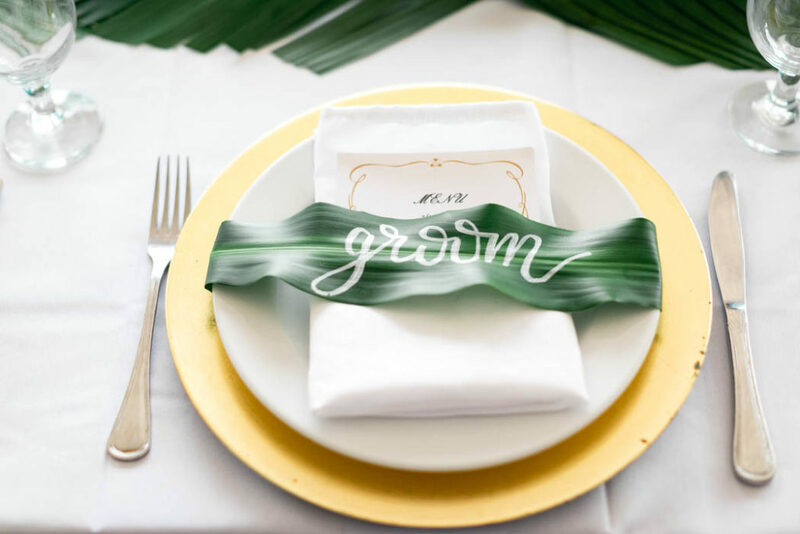 I really got to put my creative side to work here, using calligraphy on leaves for their place cards, as well as palms, gorgeous flowers, and pineapples to create their décor. 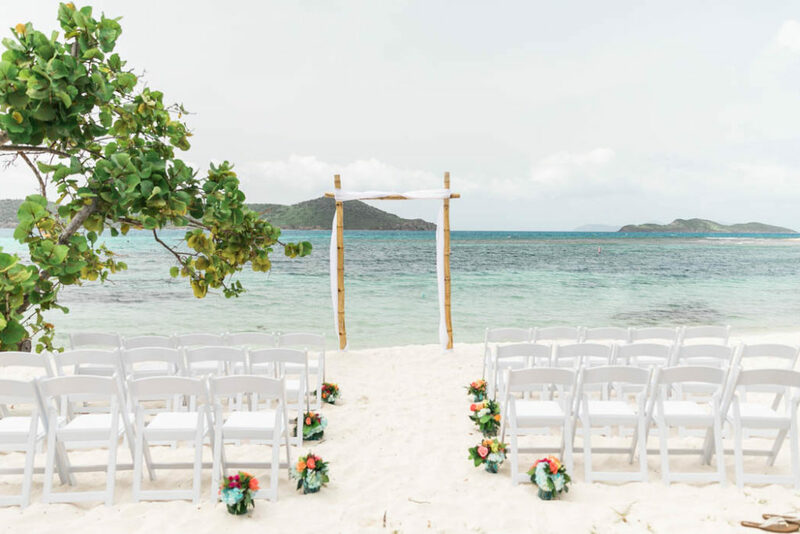 I absolutely love the way everything came together for their seating look, with bright colors combined with the gold chargers to make a very elegant island vibe. To add to their tropical feel, they included cupcakes for dessert that were topped with sugar hibiscus details that were absolutely stunning. These two spent the rest of their evening dancing with their friends and family, and it was clear that they love to have fun, as well as how to throw a good party. Check out more photos here, you won’t be disappointed!